Offering over 6,000 sq. ft. of adaptable space in 3 meeting rooms, (2 of which combine to make 1 ballroom) and a bar area, the Hilton Garden Inn hotel in Valdosta, Georgia features various options for an event of any kind. Expect complimentary WiFi in all of our spacious meeting spaces. Celebrate your wedding, reunion or other social event with up to 196 friends and family members in the ballroom. 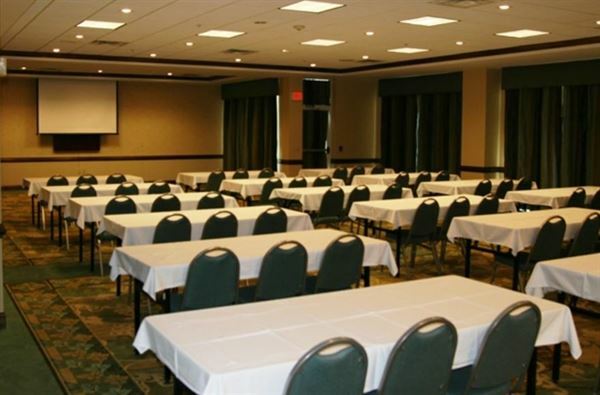 Spaces for more intimate gatherings are also available at our Valdosta hotel.